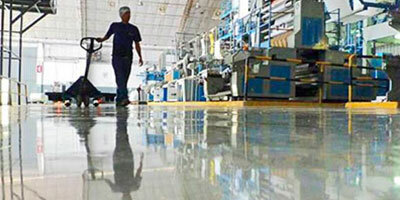 By vitrifying a surface a high quality, abrasion-resistant, glossy finish, low-maintenance floor can be obtained. 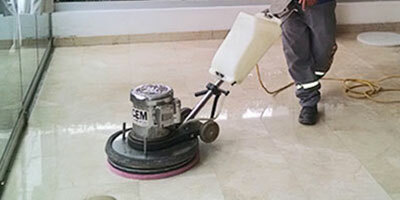 This treatment consists of a complete washing of floors to remove all dirt and contaminating agents of the surface. After this, special chemical resins are applied, which seal, densify and polish the surface of the floor, protecting it and extending is useful life. The process of washing and vitrifying is completely mechanic, using washing machines and industrials polishers, respectively. Transformation of an old floor into a new one. A less slippery and safer floor. 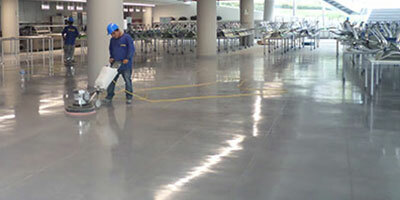 This treatment is used to protect and embellish floors in Shopping Centers, Restaurants, Offices, Entrance Halls in edifications, Hospitals, Stores, Storages, Automotive Workshops, Exhibition and Sales Rooms, etc. Epoxic floors and Urethane-cementitious floors.